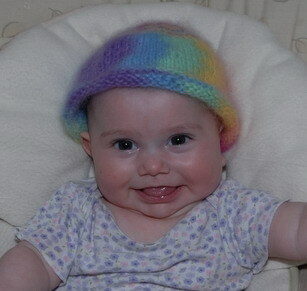 This hat was knit from hand-dyed angora and lambswool for my new baby niece, Naomi. I knit these booties from a pattern found at Dharma in San Rafael (color inspired by a crocheted booties pattern available at marthastewart.com) - my friend Katie and her new baby are the inspiration! Katie is also crocheting a baby blanket which may be featured here at some point. 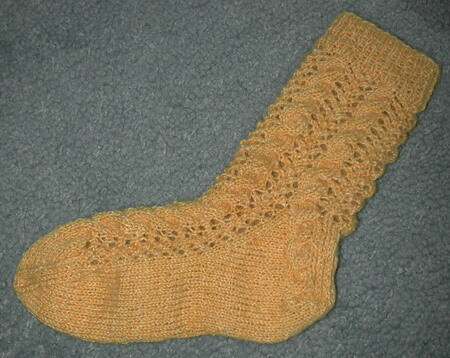 I had concerns about fit halfway down the leg, because the cable and lace don't really stretch. 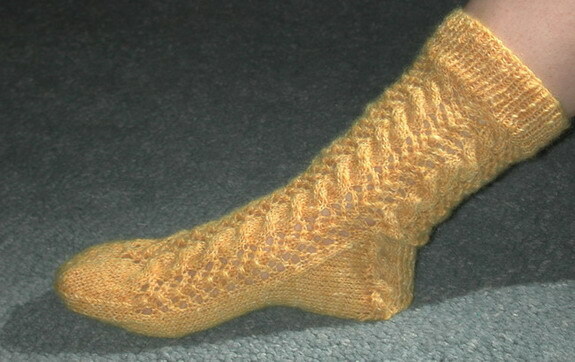 However the straight knitting on the sole balanced it out, and it fits great! This sock knit up faster than than most because of the two-ply hand-spun yarn (same as dyed with onion skins) which is thicker than standard sock yarn. 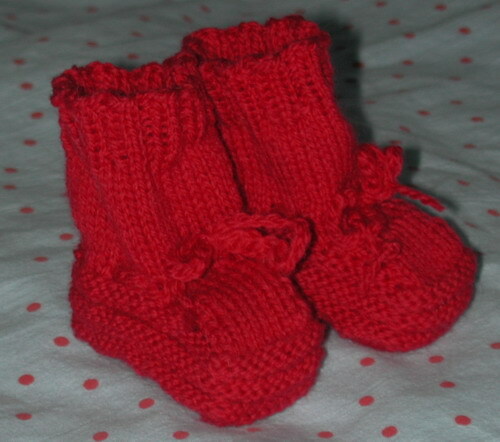 I used size 1 dp needles.